Dutch law topics | Dutch Lawyer Mark van Weeren introduces the Netherlands legal system and explains how a Dutch Law Firm can help you out. 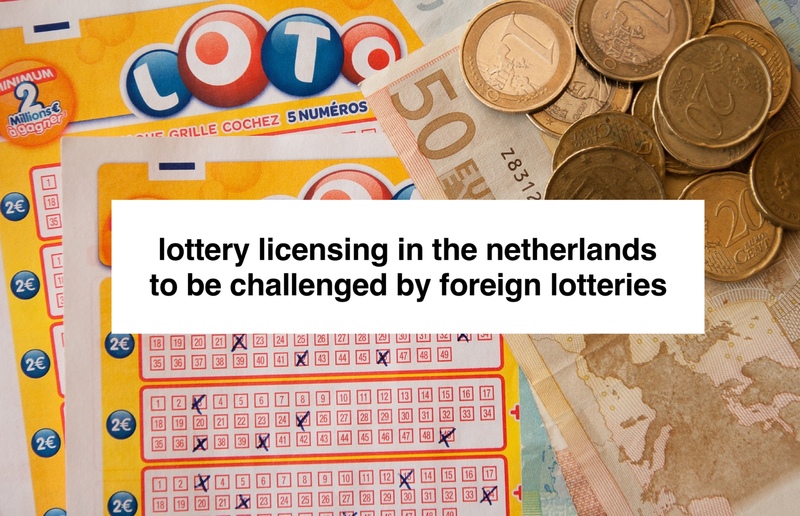 The Netherlands legal implementation of remote games of chance is progressing slowly. 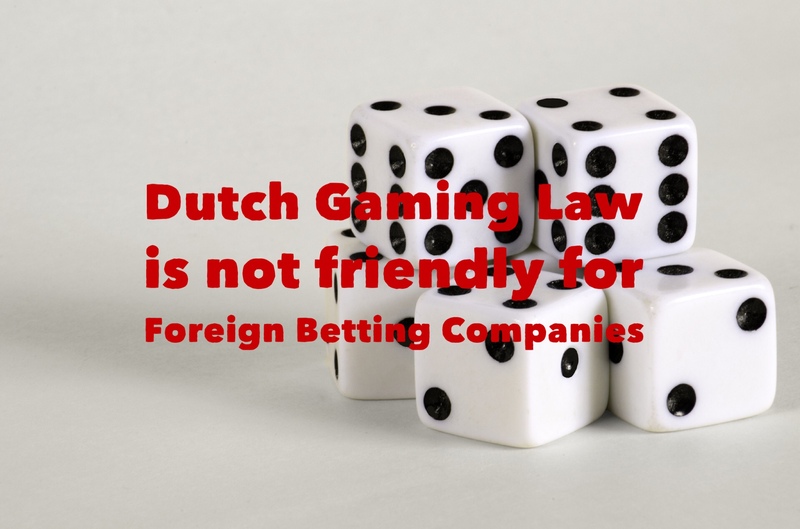 Especially for foreign providers of gambling games, business opportunities are on the horizon in the Netherlands now that the current market is dominated mainly by Dutch providers and the government considers competition in the current market to be desirable. In 2016, The Dutch House of Representatives adopted the bill on remote gambling. This legislation is currently pending in the Dutch Senate. The Netherlands Gaming Authority is preparing for the adoption of the Remote Gambling Act that will regulate online gambling In the Netherlands and provide a basis for the creation of a gambling licensing system, allowing Dutch players to take part in online gambling offerings in a safe and reliable environment. Does the existing situation concerning the possibilities for the donation to sports and charities not be affected? The Minister for Legal Protection announced this on behalf of the government halfway June 2018. Now that this part of the coalition agreement has been implemented, the legislative process can, according to the Minister, be resumed vigorously. It is therefore possible that the Senate will soon agree with the bill by means of the tightened Bill for Remote Gambling. According to the current jurisprudence of the Court of Justice of the European Union, it has been decided that providers without a branch within the EU a provider can only get a license if they have a branch in the Netherlands. As a foreign provider you will therefore have to set up a separate entity and establish it in the Netherlands. In addition, the presence in the Netherlands of a representative in the field of addiction prevention is required. The government wants to pay attention to reducing and prevention of gambling addiction. The proposed measures are based on the so-called ‘stepped intervention model’. This means that the license holder provides the player with appropriate information and gives the player insight into his playing behavior. If a player exhibits risky gaming behavior, an appropriate intervention is carried out, such as offering a self-test or a personal meeting in which the player is redirected to professional help. As a last resort, the ‘Central Register Exclusion of Games of Chance’ will be introduced. Players who exhibit problematic gaming behavior or are addicted can be registered voluntarily or involuntarily in CRUKS. The above obligations inevitably entail that the future provider of remote games of chance must actively collect data from there players. For the provider, therefore, a major challenge lies ahead in the careful processing of the extremely sensitive personal data of its players in line with the recently introduced European General Data Protection Regulation (GDPR). The current government believes it is important that new games of chance and the accompanying marketing should not have a negative effect on vulnerable groups. It is therefore required that games of chance products be subject to a risk analysis for the prevention of addiction before they are offered. This also includes the effects on consumers of the intended recruitment and advertising activities for these products. Finally, measures have been drawn up about charities and sports in the context of gambling. For example, to stimulate market developments, the government is reducing the compulsory payment for charities from 50% to 40%. The minister has indicated that charity organizations are supporting the new Remote Gaming Act. That’s a positive element because in the past these charities organizations were lobbying mostly against the new legislation. Hopefully, the new development will lead to a dynamic implementation of the new legislation. Are you an international provider/operator of gambling and betting services? If you would like to know more about the latest developments regarding the implementation of the new bill on Remote Gambling, do not hesitate to contact Mark van Weeren on gaming licenses in the Netherlands. New rules for the Dutch Home Owner Association are meant to improve the operation or the Netherlands HOA. The Dutch Owners’ Association or VvE ensures the property is well maintained and insured and deals with communal expenses. If you buy a apartment Netherlands you are automatically a member of this Owners Association and bound to the applicable rules (reglement). The Association of Owners in the Netherlands is responsible for the communal parts of the building like the halls, roof, pipes, walls, stairs, etc. You pay a contribution to the VvE for maintenance, insurance, communal expenses. the VvE can obtain an loan for maintenance work. The VvE can obtain a bank loan or a loan with a special Fund for large scale maintenance works. The owner of an apartment is only liable for his share in the loan. When the house is sold then the debt and/or liability of the home owner will be transferred to the new owner. The notary who deals with transfer of property in the Netherlands will specify this in the deed of transfer. The manager (beheerder) of the owners association will conduct the management over the communal sections and the communal property. Decisions of the owners association are taken in meetings, the assembly of the VvE, to be conducted according to the applicable rules. The meetings will take place at least within six months after the end of the financial year. Assemblies can also be arranged as often as necessary. Decisions by the meeting of owners are taken by majority vote. For specific decisions, like changing the deed of the division (splitsingsakte), or not reserving funds for maintenance, 4/5 majority is necessary. Also a separate set of HOA rules may apply (huishoudelijk reglement). An employer can be sued in the Netherlands in case an employee has been exposed to asbestos in his working environment. Dutch Class Actions against employers have been enabled by recent legislation. Dutch Law Firms are up for a new challenge. Dutch Courts have expanded the scope of employer liability with regards to asbestos lawsuits. Employer liability may therefor rise in the Netherlands for the exposure of employees to asbestos, chemicals or diesel fume. My law firm provides risk advisory services to manage risk and regulatory compliance requirements. Asbestos can still be found in a number of workplaces and several professions in particular have a greater likelihood of exposure. Especially old (office) building and ships very also contain dangerous asbestos. Old office buildings may nor example hold asbestos in roofing, floor tiles, fireproofing material, and pipe or boiler insulation. Contractors should take special care when employees work in old constructions. Lawyers need to check the relevant legal definition of asbestos, I refer to European Regulation (EC) No 1907/2006 (as amended) and Directive No 2009/148/EC, which define asbestos (for the purposes of the respective Regulation and Directive), as the fibrous silicates, such as Actinolite, CAS No 77536-66-4; Asbestos grunerite (amosite) CAS No 12172-73-5; Anthophyllite, CAS No 77536-67-5; Chrysotile, CAS No 12001-29-5; Crocidolite, CAS No 12001-28-4 and Tremolite, CAS No 77536-68-6. Under art. 4.37(a) of the Dutch Working Conditions Decree and art. 1(b) of the Product (Asbestos) Decree, asbestos is defined in a similar way. For manufacturers it is prudent and proper risk management to issue conformity statements also contain representations regarding your products compliance with regulations surrounding asbestos content or chemical substance, even if not obliged by law. In the Netherlands, a legal definition of asbestos mirroring the definition under the Regulation and Directive is to be found in the implementing legislation of the aforementioned Directives No 1999/77/EC and 2009/148/EC, the Product (Asbestos) Decree of 17 December 2004 and the Netherlands Working Conditions Decree respectively. The Dutch Legislation on asbestos is spread out is several statutes. Feel free to consult me or one of our asbestos lawyers in our law firm if you have any questions. OK, still there? Products containing asbestos (asbesthoudende producten) are defined as “products containing one of the aforementioned fibrous silicates” (art. 4.37(b) of the Working Conditions Decree). Asbestos fibres (asbestvezels) are defined (for the purposes of the Working Conditions Decree) as asbestos particles longer than 5 micrometres, less than 3 micrometres wide and with a length to width ratio of more than 3:1 (art. 4.37(c) of the Working Conditions Decree). The Product (Asbestos) Decree further distinguishes between “serpentine asbestos” (chrysotile) and “amphibole asbestos): actinolite, amosite, anthophylliet. Please call for anny liability issues under Dutch Law you may encounter. In the European Union there is a complete ban on asbestos. This ban has been implemented by a succession of European directives dating back to 1983. Directive 83/478/EEC implemented a ban on marketing and use of asbestos fibres; crocidolite, chrysotile, amosite, anthophyllite, actinolite and tremolite, and products containing these substances (subject to certain exceptions for products containing crocidolite) by adding them to the list of “substances and preparations” banned from being placed on the market or used pursuant to Directive 76/769/EEC. The European rules regarding asbestos are contained in directives which have to be implemented by the Member States in their national legislation. This means that different rules may apply in different Member States. The initial partial ban was extended by successive directives, including Directive 1999/77/EC, which removed the exceptions for crocidolite with effect from 1 January 2005. Directive 76/769/EEC was replaced by Regulation (EC) No 1907/2006 concerning the Registration, Evaluation, Authorisation and Restriction of Chemicals (REACH) and establishing the European Chemicals Agency (the “Regulation”). The Regulation only applies to products “containing these fibres added intentionally”. With the GDPR the work of compliance and data officers will not become sexier. Companies in the EU area and their lawyers should work on the compliance with the new requirements the General Data Protection Regulation (GDPR). In force as per May 25, 2017. My lawfirm has prepared clients for the GDPR requirements. data controllers must notify most data breaches to the DPA; Fines of up to 4% of total turnover can be imposed. Regulatory and compliance on data processing has gone to the next level with the GDPR. Compliance and data officers will have extra work to do. How to sell your product in the Netherlands? I often receive mail from manufacturers interested to sell or promote their product in the Netherlands. I’m always willing and able to provide foreign companies with the necessary information for marketing the product in the Netherlands. Of course this depends on the nature of the product for the Netherlands. Risks of potential (civil) liability flowing from the use of its Product in the Netherlands. Import regulations for the Netherlands may vary depending on whether or not the client plans to import the Products for direct distribution to consumers or whether they will instead be sold to distributors within the Netherlands. Of course I can help you out with contracts with Dutch distributors.